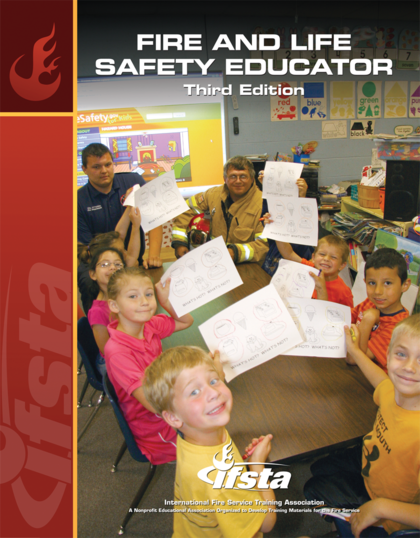 The third edition of Fire and Life Safety Educator provides the educator with knowledge to support successful performance as a fire and life safety educator as addressed in NFPA® 1035, Standard for Professional Qualifications for Fire and Life Safety Educator, Public Information Officer, and Juvenile Firesetter Intervention Specialist. In addition, the manual meets the learning outcomes of the National Fire Academy's Fire and Emergency Services Higher Education (FESHE) non-core course Fire and Life Safety Educator. This manual should be the first document on a public educator's bookshelf and a “ready reference” of public education knowledge. The manual is intended to educate the educator rather than to train the educator. In this way, the educator will be able to apply knowledge and skills to many different areas under the “umbrella” of injury prevention and control. The manual focuses on all-risk education. This manual is intended to assist in preparing for certification to the Fire and Life Safety Educator I, II, and III and Juvenile Firesetter Intervention Specialist I and II levels of NFPA® 1035 Standard for Professional Qualifications for Fire and Life Safety Educator, 2010 edition.